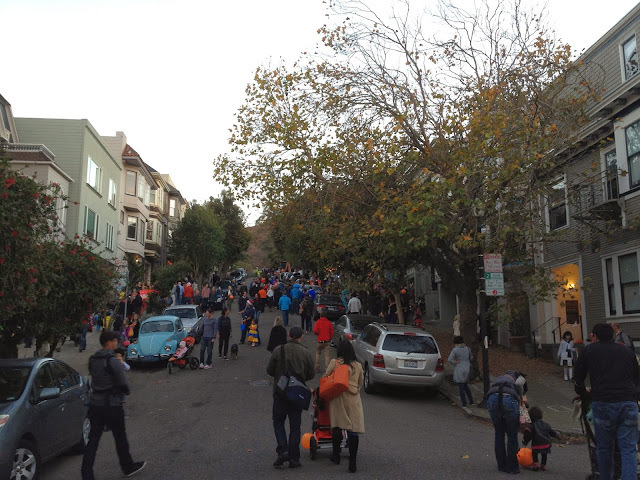 We have been trick or treating on Belvedere Street, here in San Francisco since my kids were babies. 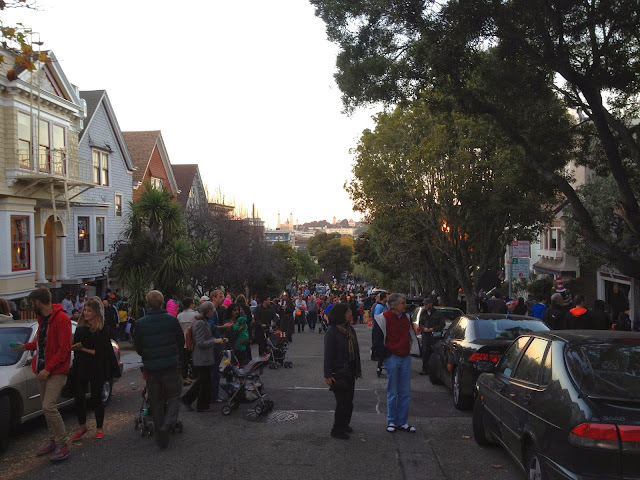 They close the street to cars, most of the residents do their houses up really great and it becomes a really festive block party of sorts. Little guys start arriving a little after 5 and everything is all done by 9. I actually used to live in the pale green house above when we were building our current one. 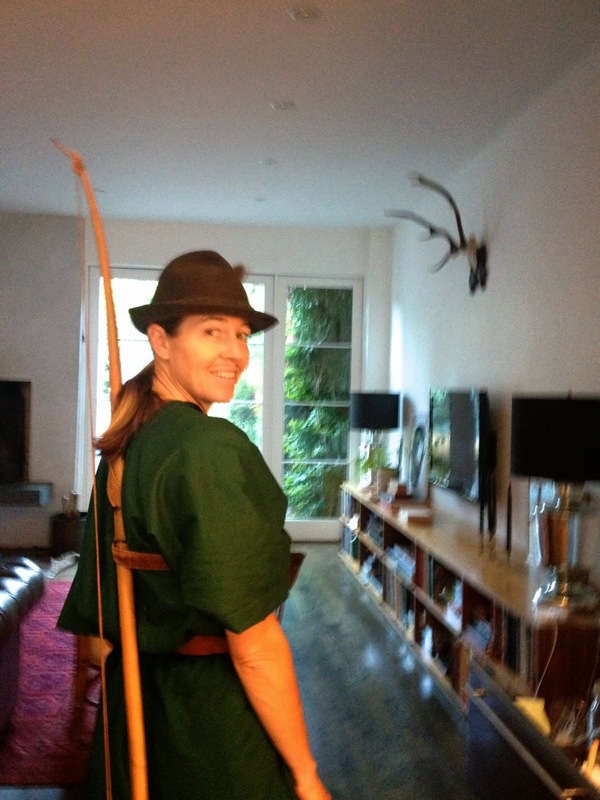 We used to hand out about 2000 pieces of candy in about 3 hours. 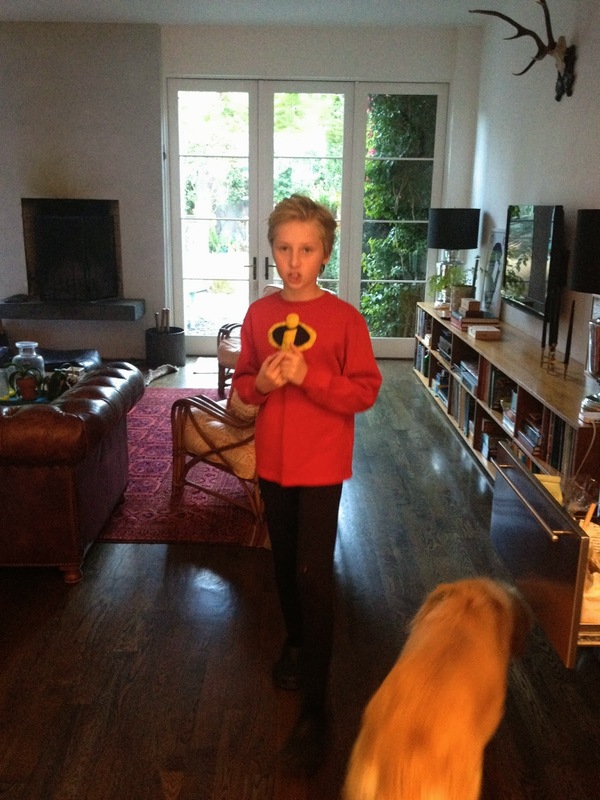 Kit went as Dash again this year. That looks like so much fun. That street is beautiful! Wow! Trick or treating on Belvedere is an event in itself! Looks like so much fun. Love both your outfits. What an amazing experience! We only had about 6 kids this year due to the stinkin rain ;( We still had beers and chili with the neighbors though and now lots of leftover candy.